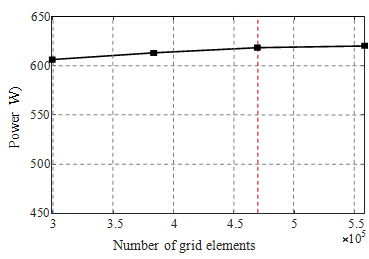 This study proposes the use of the genetic algorithm (GA) method in hydraulic turbine optimization for renewable energy applications. 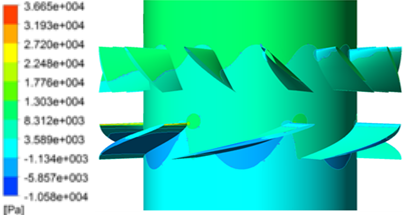 The algorithm is used to optimize the performance of a two-dimensional hydrofoil cascade for an axial-flow hydraulic turbine. 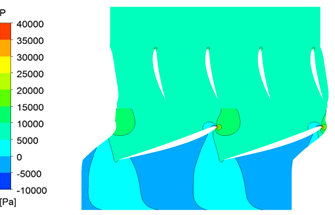 The potential flow around the cascade is analyzed using the surface vorticity panel method, with a modified coupling coefficient to deal with the turbine cascade. 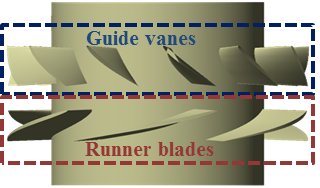 Each section of the guide vane and runner blade hydrofoil cascade is optimized to satisfy the shock-free criterion, which is the fluid dynamic ideal to achieve minimum profile losses. 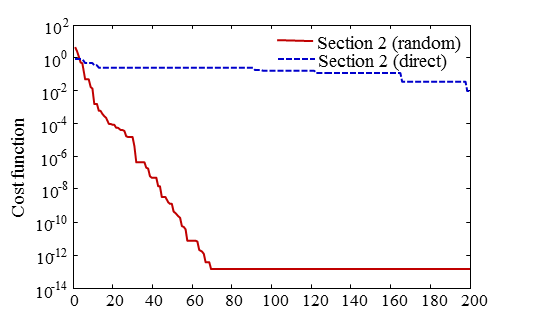 Comparison is also made between the direct and random switching methods for the GA crossover operator. 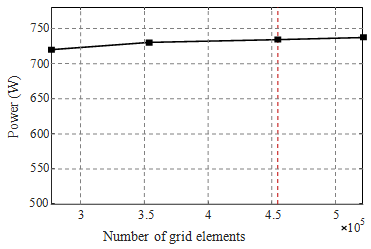 The optimization results show that the random switching method outperforms the performance of the direct switching method in terms of the resulting solutions, as well as in terms of the computational time required to reach convergence. As an alternative to experimental trials, the performance of both turbine designs are predicted and analyzed using the three-dimensional computational fluid dynamics (CFD) approach under several operating conditions. The simulation results show that the optimized design, which is obtained by applying the shock-free criterion using the GA, successfully improves the performance of the initial turbine design. Hydrodynamic performance analysis is important for optimizing the hydraulic performance of axial-flow hydraulic turbines. 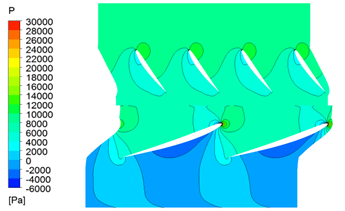 The common method is by analyzing the fluid-dynamic behavior around the hydrofoil using a two-dimensional cascade, which is an infinite array of hydrofoils on a two-dimensional (x,y) plane. 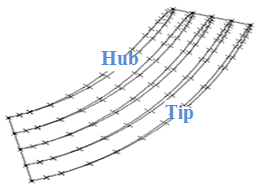 Several research studies have been conducted to optimize axial-flow hydraulic performance by minimizing hydrofoil losses using certain criteria, such as the minimum suction pressure coefficient (da Cruz et al., 2008; Sutikno & Adam, 2011) and the shock-free inflow criterion, as in the work of Muis et al. (2015, 2016). In addition, the performance of the optimized design needs to be predicted based on real conditions, before prototyping takes place. 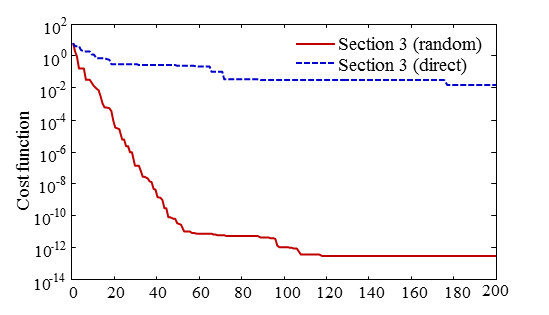 The three-dimensional computational fluid dynamics (CFD) approach based on the finite volume method is an efficient fluid dynamic tool to predict the performance of turbomachinery, such as hydraulic turbines. 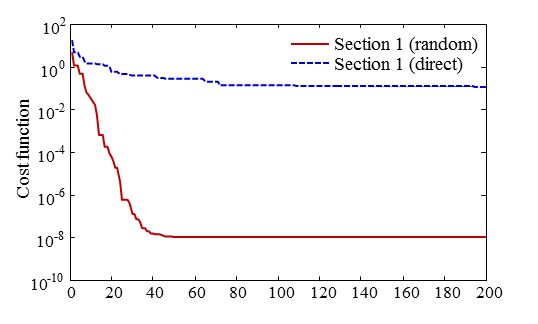 This approach allows the prediction of certain flow parameters in complex flow phenomena, which are difficult to obtain experimentally, such as the velocity and pressure contours at any location in the computational domain. 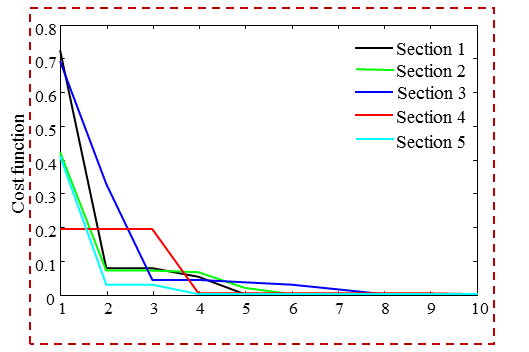 This research aims to optimize the performance of an axial-flow hydraulic turbine using the genetic algorithm (GA) method, which is an evolutionary optimization algorithm based on natural selection. 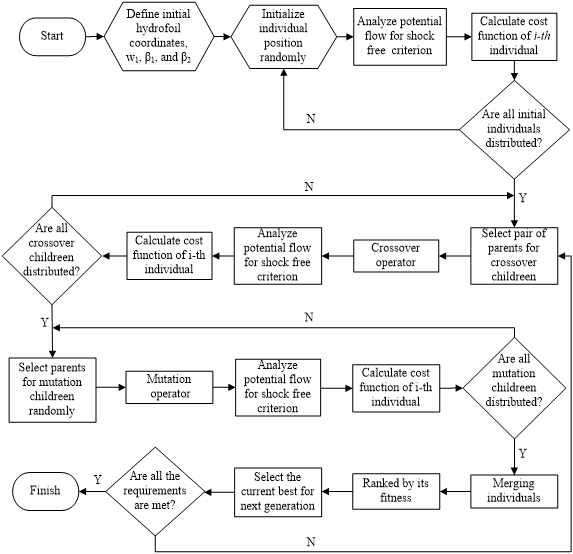 The algorithm is used to find the optimal design variables to achieve the shock-free criterion (Lewis, 1996). 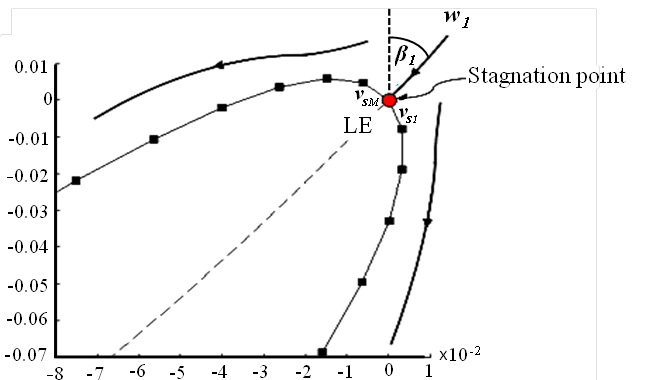 During the optimization process, the potential flow around the two-dimensional cascade is analyzed using the surface vorticity panel method (Lewis, 1991). The performance of the initial and optimized turbine designs is predicted using the three-dimensional CFD approach, which has previously been used by several researchers (Drtina & Sallaberger, 1999; Prasad, 2012; Ramos et al., 2013; Schleicher et al., 2015; Riglin et al., 2016; Kim et al., 2017; Kinsey & Dumas, 2017) to predict the performance and flow behavior of hydraulic turbines. Subsequently, the performance of both turbine designs is compared and analyzed. 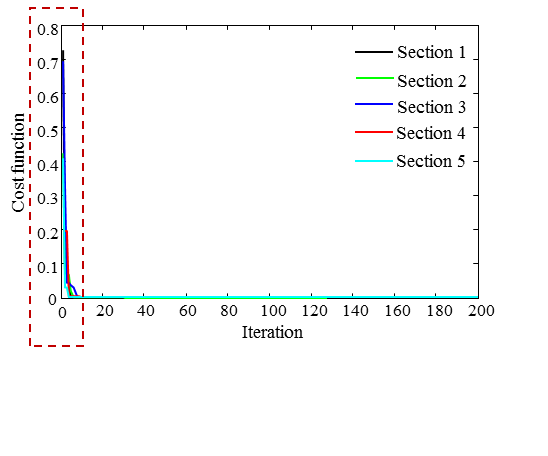 Numerical optimization of an axial flow hydraulic turbine using two-dimensional cascade analysis has been performed. 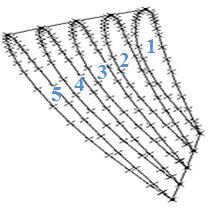 The GA was found to be an efficient optimizer to satisfy the shock-free criterion in the two-dimensional hydrofoil cascade for the axial-flow hydraulic turbine. However, the switching method used for the crossover operator of the algorithm should be carefully noted. 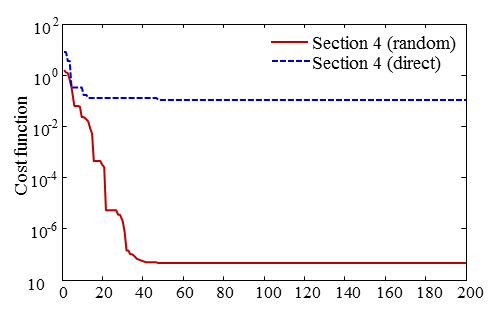 From the optimization results, the crossover operator with the random distribution switching method resulted in more robust solutions compared to the direct method because of its diversity. 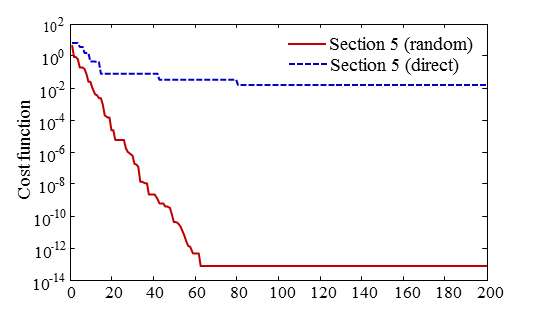 By applying this method, the cost function value in each guide vane cascade section is less than E-09, while the runner blade has an average value of E-14. 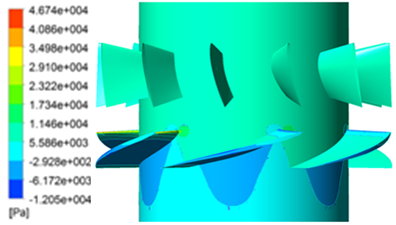 Furthermore, the performance of both turbine designs was predicted using the three-dimensional CFD approach. The simulation results show that the optimized turbine design improves the hydraulic performance of the initial turbine design by 4.29% under nominal operating conditions. Moreover, the hydraulic performance of the optimized turbine design also outperforms the performance of the initial turbine design under various operating conditions, ranging from 450 to 550 rpm. Therefore, it can be concluded that the GA as an optimizer used to achieve the shock-free criterion in two-dimensional cascades has successfully improved the hydraulic performance of the initial turbine design. The Authors would like to thank to Research Centre for Electrical Power and Mechatronics – Indonesian Institute of Sciences (P2 Telimek – LIPI) for supporting this project.